← The drudgery work behind the scenes of being an artist. Packing, framing and shipping. Here is another alley painting. Guess this is starting to be a series. This painting is contre-jour, painted against the light. Here I’ve added a few figures. 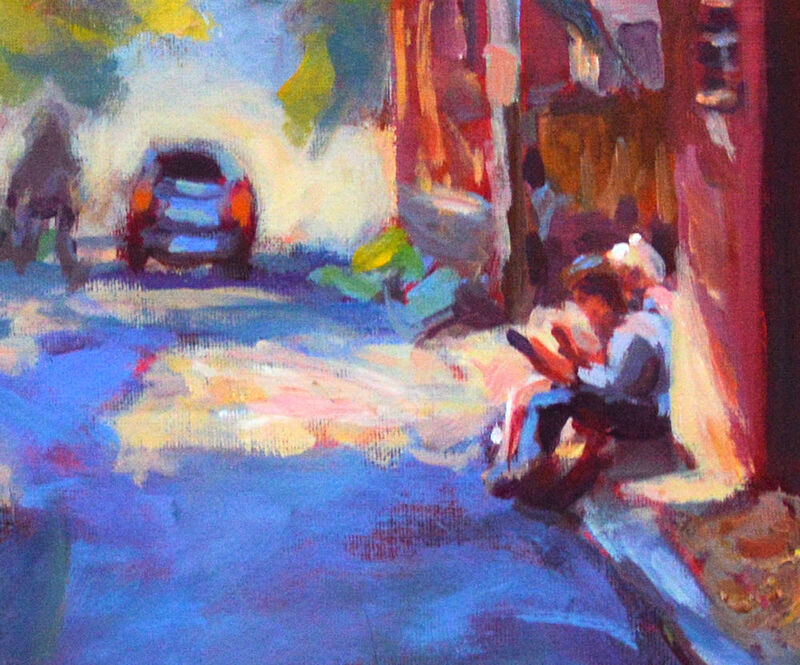 A couple sitting on the stoop and a figure in the distance. Also, the car in the alley with the tail lights as it is waiting to pull out. Keep tuned. I might be doing some more alley scenes in the future. 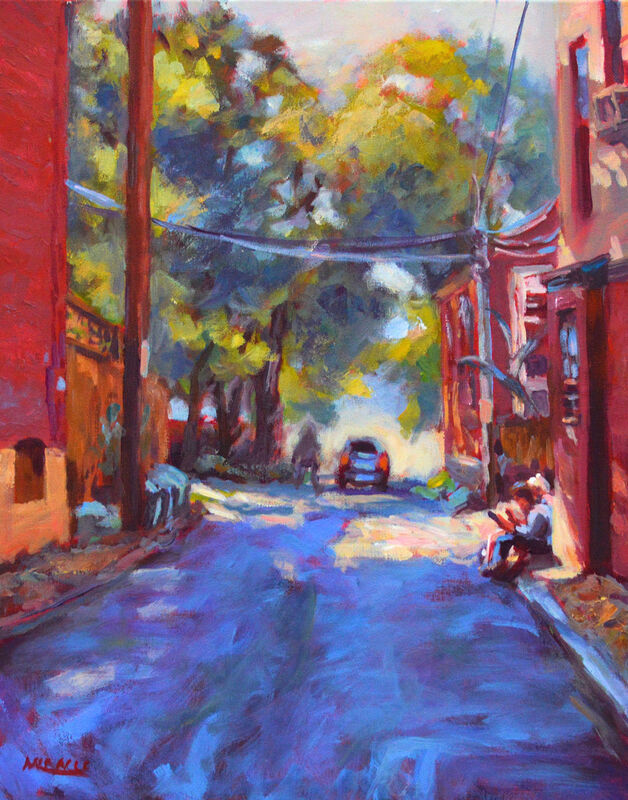 This entry was posted in art, contemporary impressionism and tagged acrylic, alley, cityscape, contemporary impressionist, kit miracle, Louisville. Bookmark the permalink.